#Redeem your favourite munch treats starting with just 5 Frasers Points. 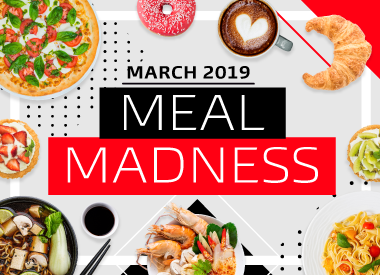 Be quick, because these deals will be devoured fast! Download FRx to redeem now. #Redemptions are subject to limited availability, and deals will no longer be reflected in the FRx app once they are fully redeemed. 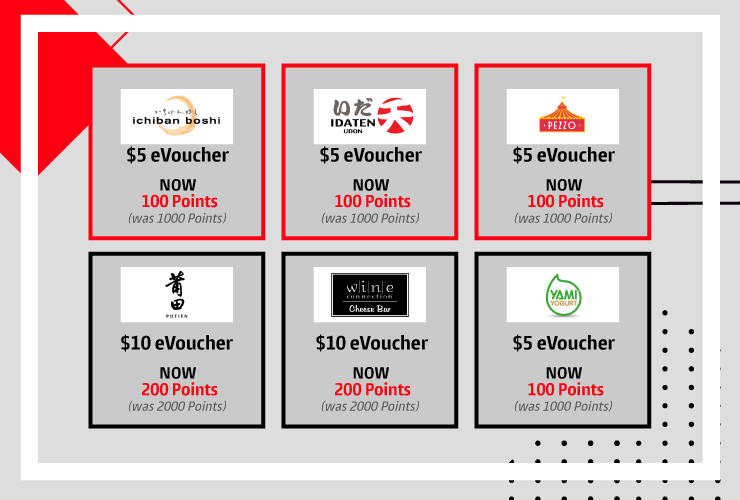 From just 5 Frasers Points, enjoy delicious treats from any of these retailers. 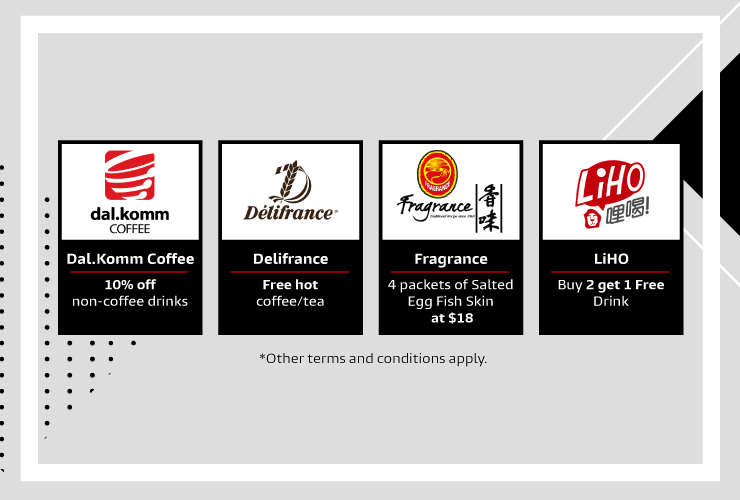 Feast to your heart's content when you redeem these yummy deals at just a fraction of the usual Frasers Points required! Maximum of 5 redemptions per member per day. eVouchers are valid within 3 months from date of redemption, unless otherwise stated. 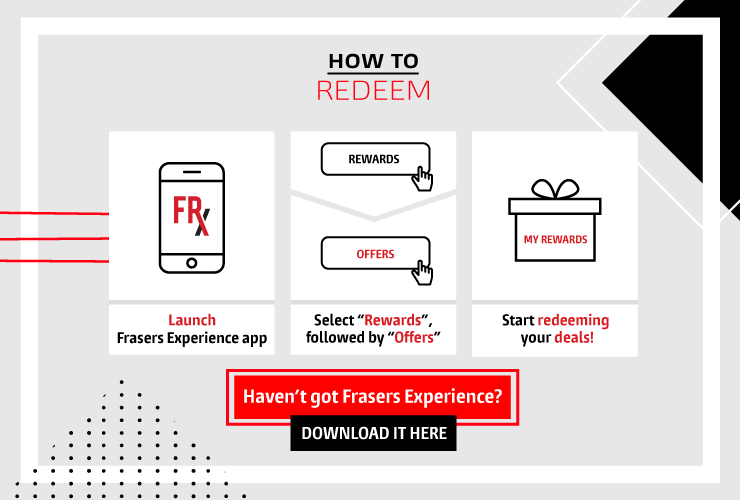 eVouchers are valid only if used within Frasers Experience (FRx) app. Frasers Points used for redemption of eVouchers are not refundable. Please present reward QR code for scanning prior to payment. Limited to one eVoucher per transaction / payment.